It is always a hot topic about transferring contacts from iPhone to Android, such as Samsung, HTC, LG, Sony, Blackberry phone, etc. 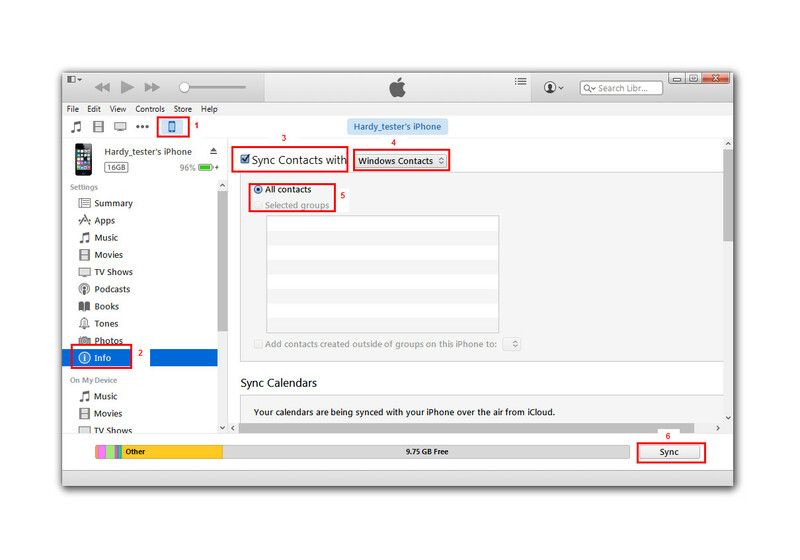 iPhone users are able to sync contacts with iTunes, Gmail and so on, and these methods can be helpful when users are going to transfer iPhone contacts to another device. This post will introduce multiple ways for people to transfer contacts from iPhone to Android phone. People are able to transfer contacts from iPhone to Android phone with multiple methods today. Switching to a new smartphone, iPhone or Android phone, is more and more frequent among people, so moving contacts is becoming more and more important for these users. The following post will introduce several solutions for you to transfer contacts from iPhone to Android phone. 1. Click the iPhone icon at the upper left corner. 2. Click Info in the Summary panel. 4. 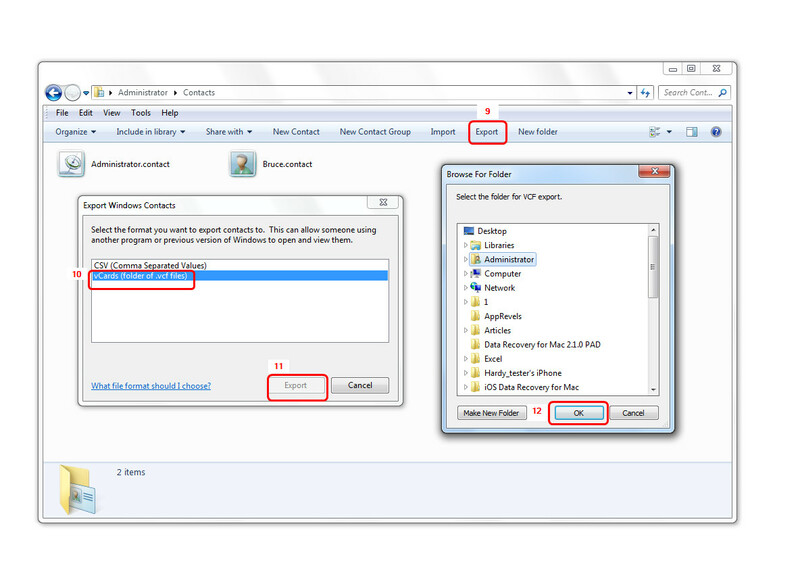 Choose Windows Contacts in the drop-down menu. 5. 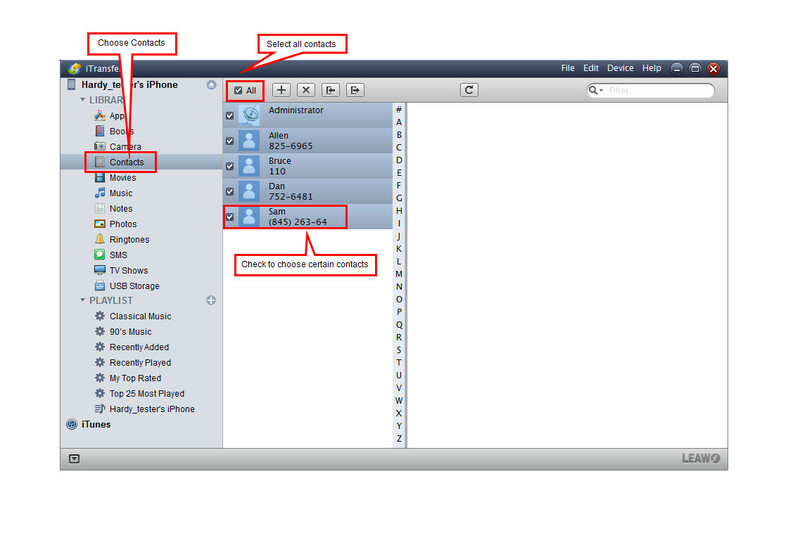 Choose All Contacts or selected groups. 6. Click Sync at the right bottom. 7. Click the Start button after exporting contacts. 8. Choose your username, and open Contacts folder. 9. Click Export at the upper right corner. 10. Choose VCF as output. 11. Click Export at the right bottom. 12. Choose a folder to save the contacts, and click OK. When you get the contacts in target, you can connect your Android phone to computer with the USB cable, and launch your Contacts app, then tap “Import Contacts” to transfer contacts from computer to your Android phone. 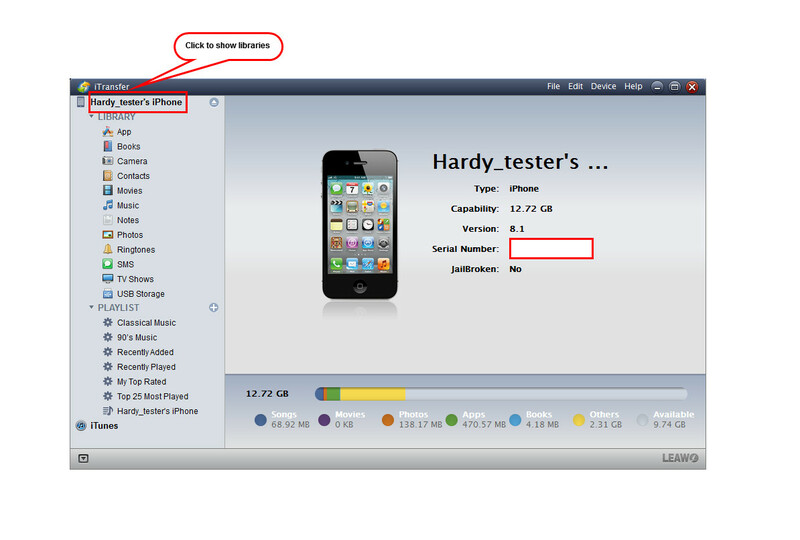 iPhone users can also transfer contacts from iPhone to Android phone with third-party iPhone transfer software, Leawo iTransfer. The software is designed for transferring all kinds of files( like apps, music, movies, TV shows, ringtones, ebooks, photos, Camera Roll, contacts and text messages, etc) between iOS devices, iTunes and computers for all levels of users. The following guidance will show you how to do it. 1. Launch Leawo iTransfer and connect iPhone to computer with USB cable. 2. 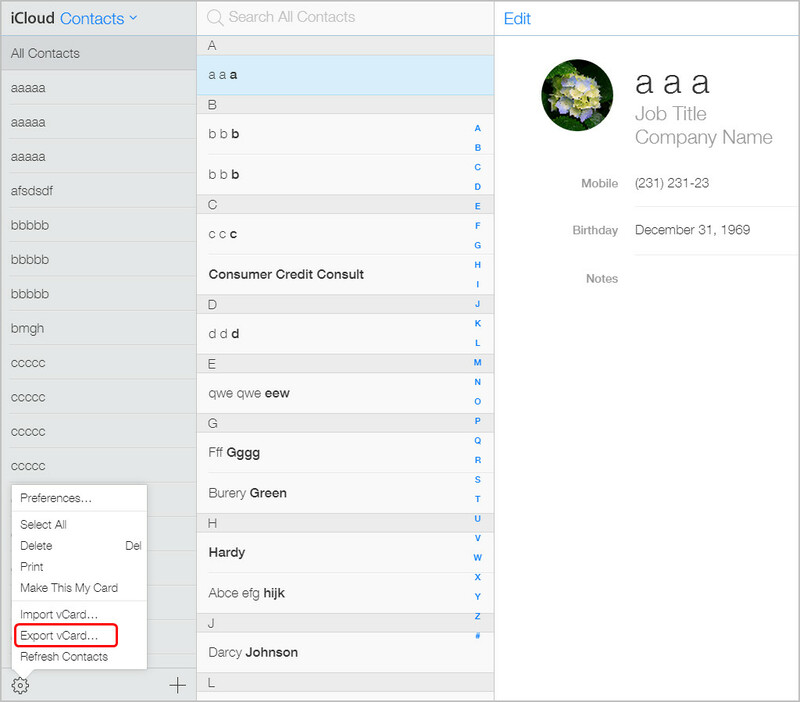 Choose Contacts category and select contacts. 3. Click the Export button and choose VCF as output. 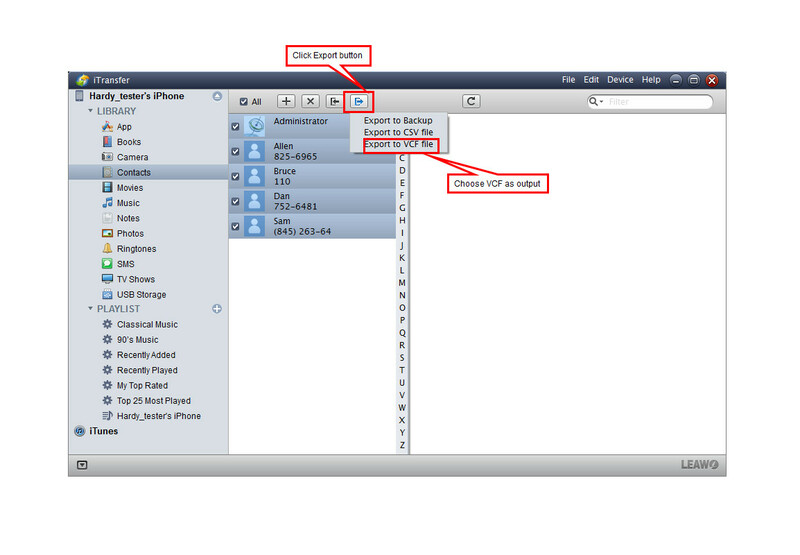 After that, you can repeat the steps in solution 1.
iPhone users can upload their iPhone contacts to iCloud, and export contacts as vCards, then import the contacts to Android phone. 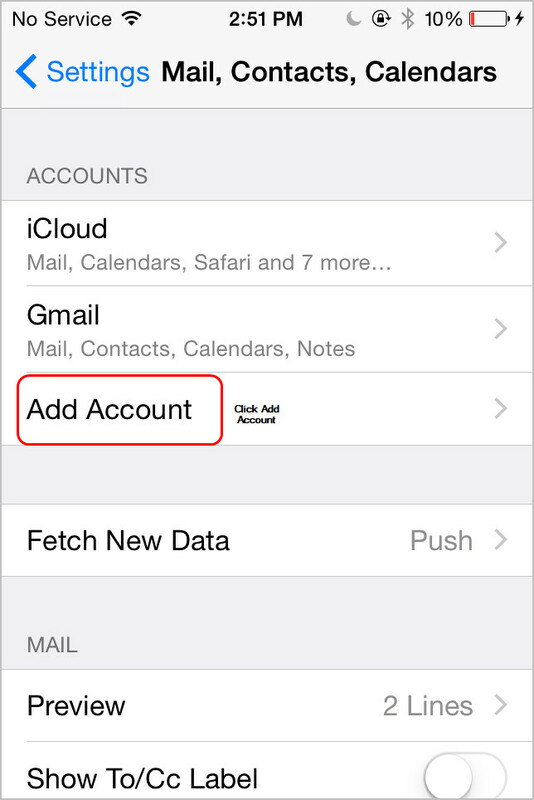 The following guidance will show you how to transfer contacts from iPhone to Android with iCloud. 1. 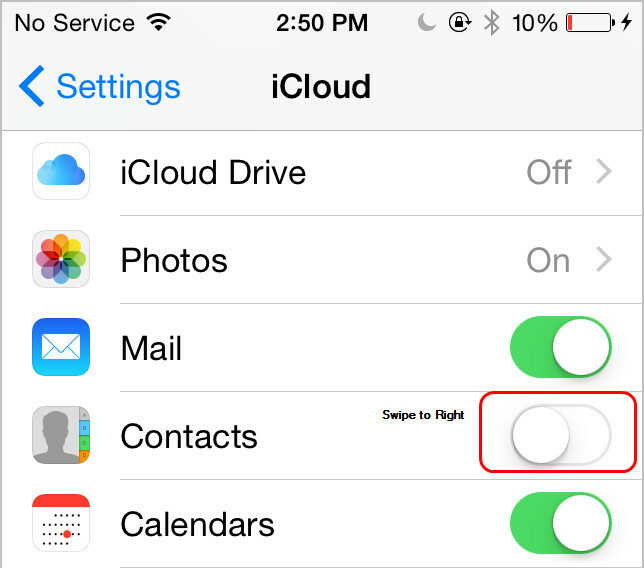 Tap Settings > iCloud, and turn Contacts to ON. 2. 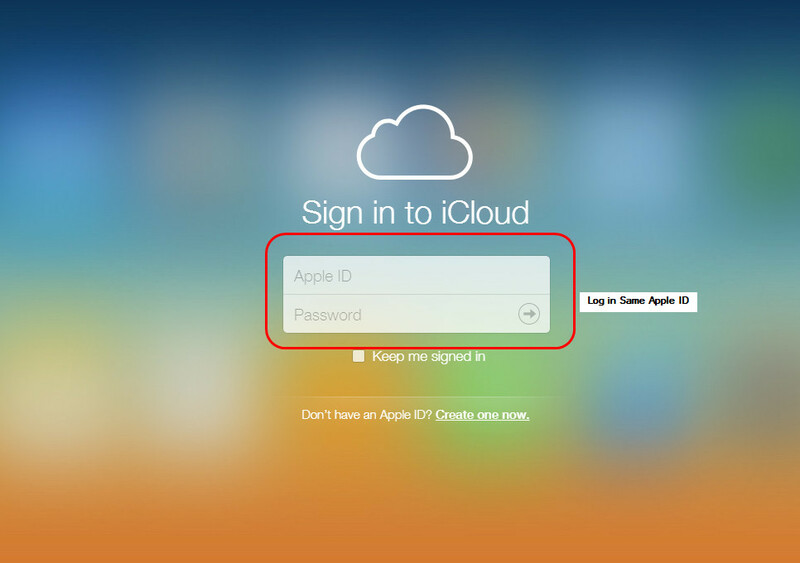 Enter your Apple ID in iCloud.com on your computer. 4. The contacts will be exported as a VCF file on your computer. Connect Android phone to computer with the USB cable, and launch Contacts app, then choose “Import Contacts”. 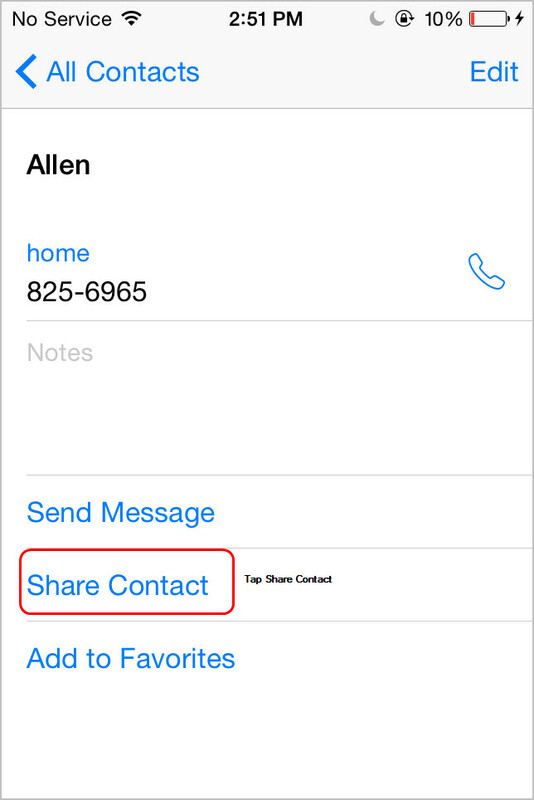 iPhone users are able to sync contacts from iPhone to Android phone. 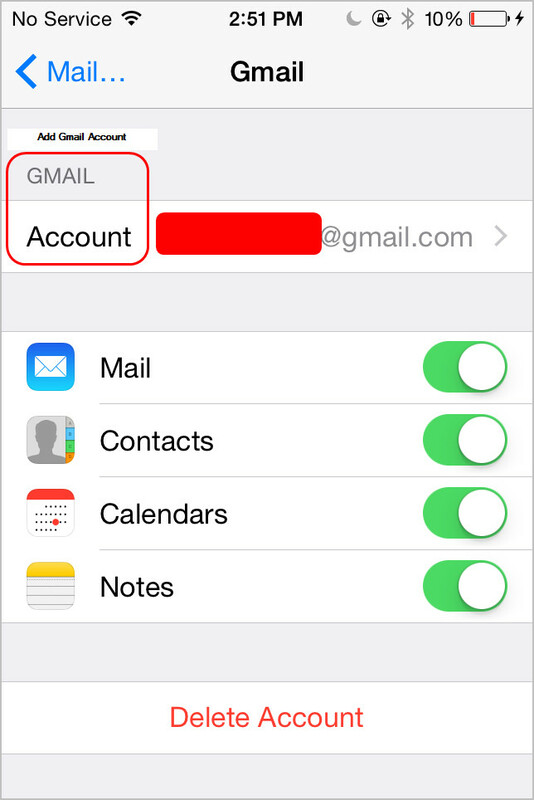 You only need to tap Settings > Mails, Contacts, Calendars > Add Account, and add Gmail into your iPhone. Then tap Contacts to ON. Go back to Home screen, and launch Contacts App, then the contacts will be synced to Gmail. 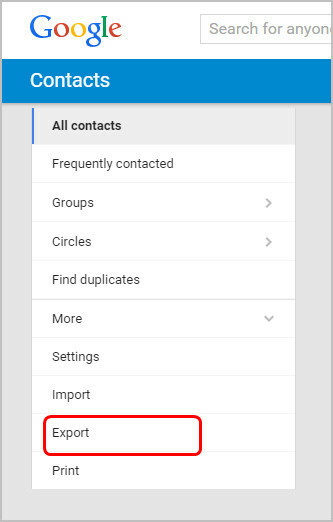 You can sync Gmail contacts to your Android phone, or export the contacts to computer and then import them to your Android phone. Apart from the methods above, you may want to use your Mail or Message app to share few contacts from iPhone to Android. This method is easy. You only need to launch your Contacts app and select the contact you want to export, then tap “Share Contact” at the bottom of the screen. 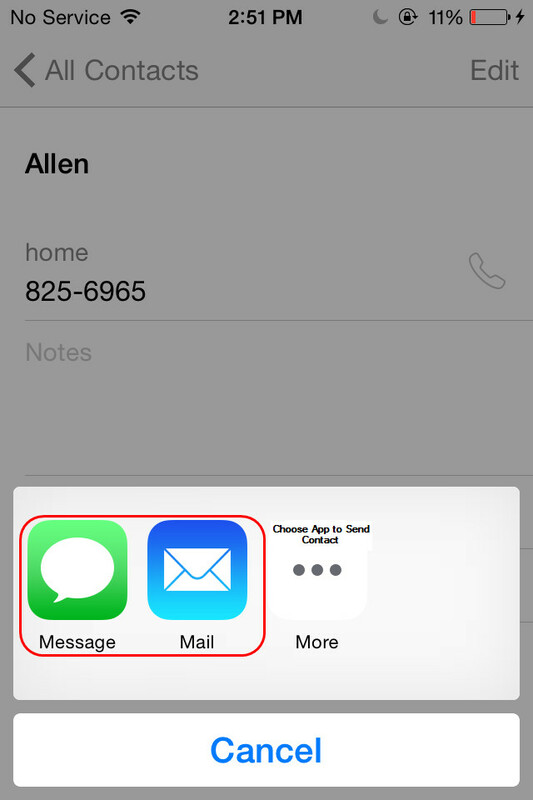 Choose the app you want to use and you will find the contact is attached in the message or email. If you’re using an Android phone and haven’t inserted the SIM card, you should choose Mail app to send the contact.